CMR University offering a variety of UG & PG programmes during the current academic year (2019-20)under various Schools. CMRUAT 2019 is the competitive entrance test organised by CMR University for admission to the B.Tech & BBA-MBA (Integrated). Interested and eligible candidates can fill their Application form before the last date. 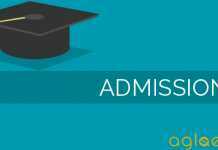 Candidates can check the complete information of CMR University CMRUAT 2019 like application process, eligibility criteria and other information through this page below. The School of Management offers a two-year MBA programme. For admission to the 1st Semester MBA programme, a student needs to undergo the CMRUAT 2019, the entrance test offered by the CMR University if he has not undertaken any entrance test for admission to MBA programme in the country (For ex., CAT/MAT/PGCET/KMAT/ATMA or any other AICTE approved test). Latest: Application form for CMRUAT 2019 has been released, scroll down to access the link. Application Form for CMR University has been released. Candidates can opt the dates for the examination. However, candidates can opt any subject to apply. The application forms for CMR University has been released on the official website. Candidates can apply for the same from the official website or link given below. 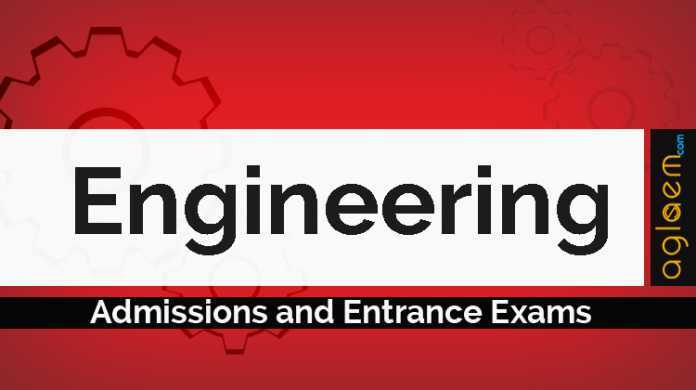 Candidates applying for admission to the 4 year Bachelor of Technology programme of the School of Engineering & Technology & BBA-MBA (4 year integrated) programme of Managementand wish to write the All India Online Entrance Test CMRUAT 2019 shall apply online through the CMRU website www.cmr.edu.in or from the direct link provided below. Application Form: Click here to apply online for the U.G and P.G of CMR University 2019. Candidates will have to pay an application fee of Rs 750 (Rupees seven hundred and fifty only) for writing the test. The payment shall be made online. Candidates will be required to register for writing CMRUAT 2019 specifically selecting the program for which he/she is applying. In case a candidate desires to apply for both programmes, he/she has to register separately for the programmes and select two different test dates to write the admission tests. A valid e-mail and mobile number are mandatory for the registration. CMRU will send important information with regard to each application and test on this registered e-mail and mobile number. This e-mail and mobile number should be kept active till the end of admission process. After receiving their User ID and Password, candidates will not be able to edit the information provided at the time of registration. Hence Candidates are requested to fill in the registration form with utmost care. After registration, candidates will be required to fill up the online application form for writing the CMRUAT 2019 and submit the same. Before proceeding to fill up the Online Application, candidates should have scanned image (jpg) of their (a) Passport size Photograph (size not more than 80 KB) (b) Signature (size not more than 80 KB) in a CD/DVD/Pen drive as per their convenience. These documents will be required for uploading the Online Application for CMRUAT 2019. Candidate should have passed 10+2/PUC or equivalent examination with Physics and Mathematics as compulsory subjects along with either Chemistry / Biotechnology / Biology / Technical Vocational subjects and obtained at least 45% marks in aggregate (40% in case of candidate belonging to OBC/SC/ST/PH) in the above subjects. Candidates should have passed Bachelor’s degree in any discipline, securing at least 50% marks (45% in case of OBC/SC/ST/PH) in aggregate including languages from recognized University in India or abroad. For B.Tech. :- Candidate should have passed 10+2/PUC or equivalent examination with Physics and Mathematics as compulsory subjects along with either Chemistry / Biotechnology /Biology / Technical Vocational subjects and obtained at least 45% marks in aggregate (40% in case of candidate belonging to OBC/SC/ST/PH) in the above subjects or should have appeared in the above examination. For MBA( 2 year programme):- Candidates should have passed Bachelor’s degree in any discipline, securing at least 50% marks (45% in case of OBC/SC/ST/PH) in aggregate including languages from recognized University in India or abroad or should have appeared in the final examination of the bachelor’s degree. The given Centres are as per last Year, New Test centre details will be updated soon. For other Admission queries, please visit www.cmr.edu.in, chat online or contact CMRU Admissions Hotline on +919342900666.